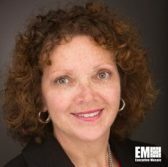 Elizabeth Anthony, senior vice president of marketing at ViON, has been included in the 2018 Women of the Channel list by CRN. Anthony successful career spans more than twenty years of global strategic marketing and communications experience. ViON said Tuesday executives on the list are recognized for their support for the development of the information technology channel industry. Individuals are recognized for their outstanding leadership, vision and unique role in driving channel growth and innovation. Since joining the company four years ago Anthony has helped build channel partnerships through open communication, customized solution business plans and disciplined portfolio budgeting. Through Anthony’s leadership, ViON has enhanced its’ brand awareness resulting in an expansion of its’ channel business.